Projections have former UW linebacker Travis Feeney going anywhere from the second to the seventh round in the NFL draft. Opinions are divided on Travis Feeney. The buildup to the draft has been a combination of crazy, stressful and fun, as Feeney described it, and the nerves are taking over for the former Washington linebacker this week as the Thursday’s first round approaches. The second and third rounds are Friday, with the final four rounds on Saturday. Considered the Huskies’ best pro prospect this year, Feeney impressed enough at the NFL combine showcase in February that he will almost certainly hear his named called at some point during the draft. Regardless of when and where he goes, Feeney is confident in his potential. Most analyst project him to go in the middle rounds, but Sports Illustrated’s Chris Burke wrote this week that he believes Feeney might sneak into the second or third round Friday. Feeney plans to watch the draft with his family back home in Richmond, Calif. He has made two recent trips to visit NFL teams — the New Orleans Saints and his hometown Oakland Raiders — and he said he is on track to be fully recovered from sports hernia surgery he had on March 17. It’s an injury he played through all of last season at UW. Even with the injury, Feeney, at 6-feet-4, 230 pounds, had a breakout season for the Huskies as a senior last fall, leading the team with eight sacks and 17.5 tackles for loss, ranking third in the Pac-12 in both. 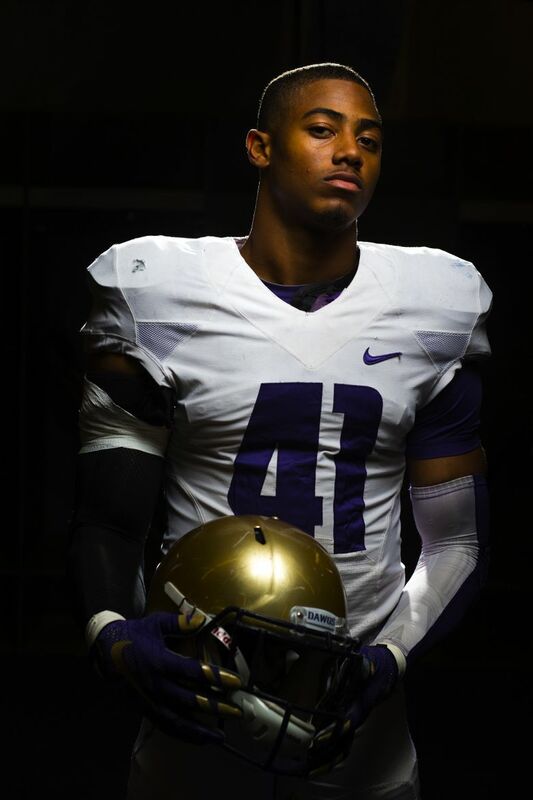 He began his UW career as a safety, then moved closer to the line of scrimmage each season. That versatility has helped his NFL stock. What really boosted his profile was his 4.5-second 40-yard dash at the NFL combine, second-fastest among linebackers at the NFL combine. Other draft hopefuls from UW are receiver Jaydon Mickens, tight end Josh Perkins, defensive lineman Taniela Tupou and running back Dwayne Washington, who left UW with one season of eligibility remaining.